I don't know what I was expecting for a smartphone game based on a series of murder mystery/death game visual novels, but it wasn't billiards. 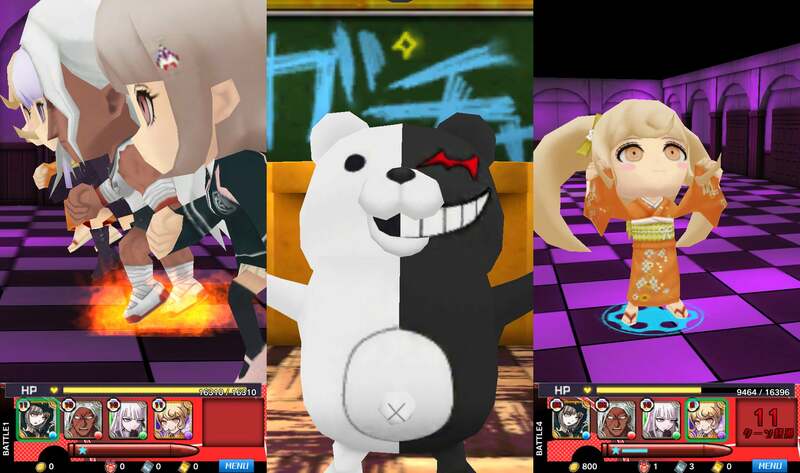 Danganronpa: Unlimited Battle is like any number of other smartphone spin-off games. It has no plot and instead focuses on a collection mechanic. What's not so normal about it is that the core mini-game is rather fun to play and actually requires some skill. The mini-game is basically billiards. Your three chosen characters (plus a fourth from someone else's game) are put in a small, closed area — an arena of sorts — with a group of enemies. 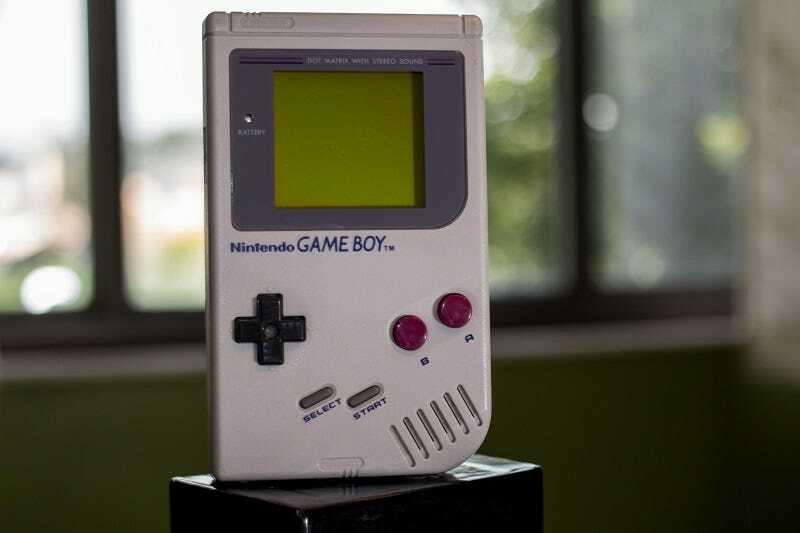 You then touch a character, aim and launch him or her into the enemies — after which your character will bounce off into walls or other enemies for as long as he or she still has momentum. Of course, on the enemies' turns, they do the same thing to you. 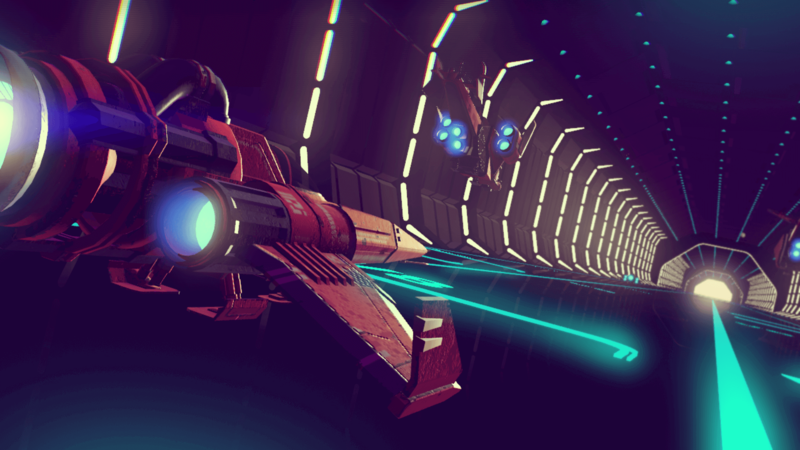 Sounds easy enough, but the mini-game isn't quite that straight forward. There are powerups scattered across the playing field that can boost your speed or strength, assist in aiming, or help to recover your team's HP. 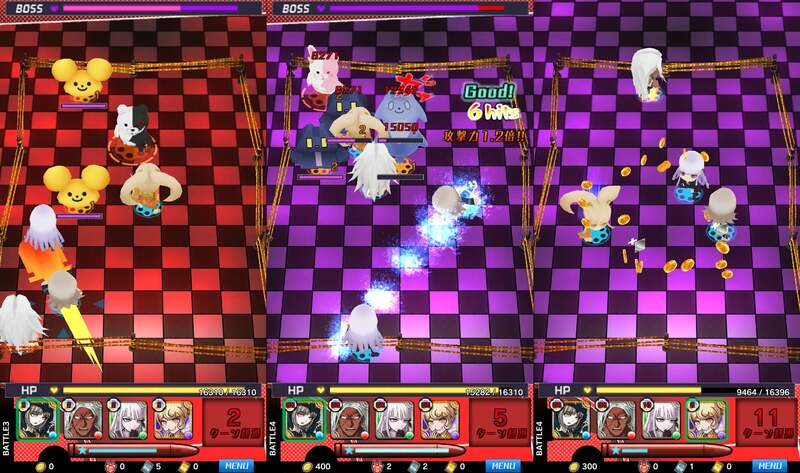 Moreover, each of your characters has a special attack that can be activated after a certain number of turns have passed. 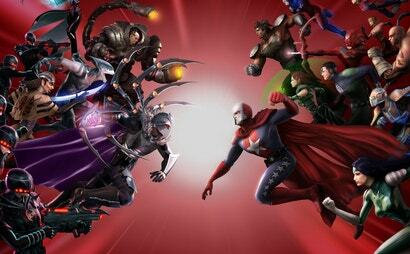 Thus there is a fair amount of strategy required in not only where you aim but in when to use your powerups. Each mission in the game has several of these arenas followed by a boss. As you defeat enemies, they drop cards and bullets. The cards are either characters or special stat boosts which can be used when levelling up your characters. The bullets transform a fully leveled card to the next rarity level. The key to the game, however, is the Monokuma Coins gained from doing specific tasks or missions in the game. These allow you to buy random new cards of a higher rarity than those you find in the mini-game, continue if you lose a battle, or increase the amount of time you are allowed to play in a given sitting. These medals are, of course, also purchasable with real world money. 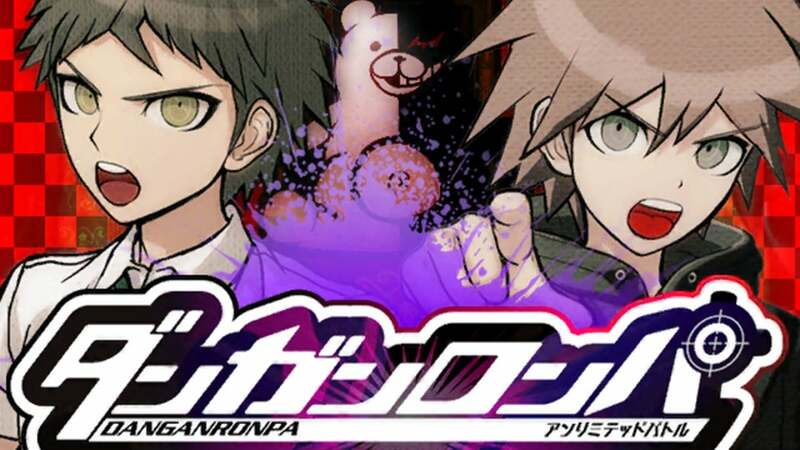 Danganronpa: Unlimited Battle is far from the worst game of this type I have encountered; it is actually a decently fun, if repetitive, time killer. I'm not sure how long I'll be playing this one, but for the moment the Danganronpa fan in me won't let me quit till I have a Junko Enoshima of my very own. ...I may be in this for the long haul, you guys. 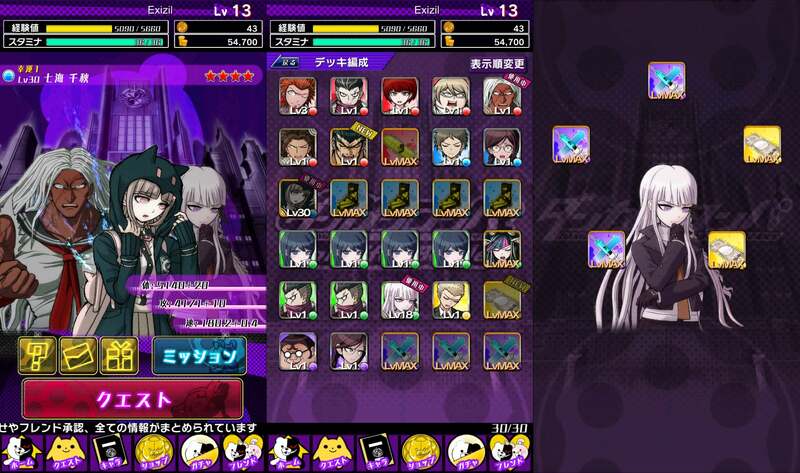 Danganronpa: Unlimited Battle was released for iOS in Japan on February 2, 2015. There is no word on a Western release.